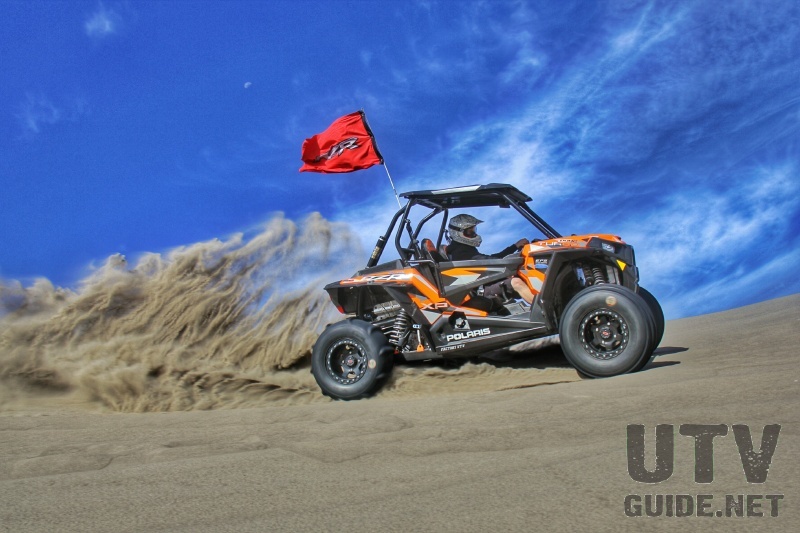 What could possibly be better than scaling, carving or roosting the tallest sand dunes in north America from the seat of a UTV? 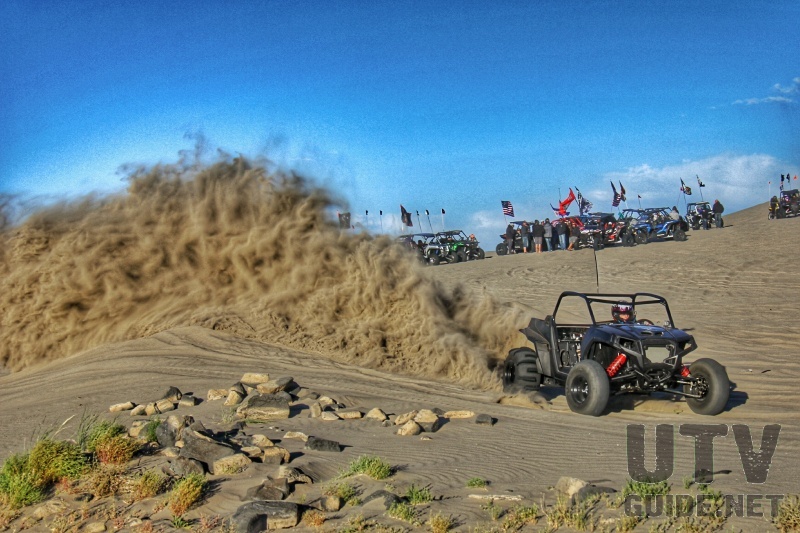 How about doing so with a couple thousand of like minded enthusiasts? 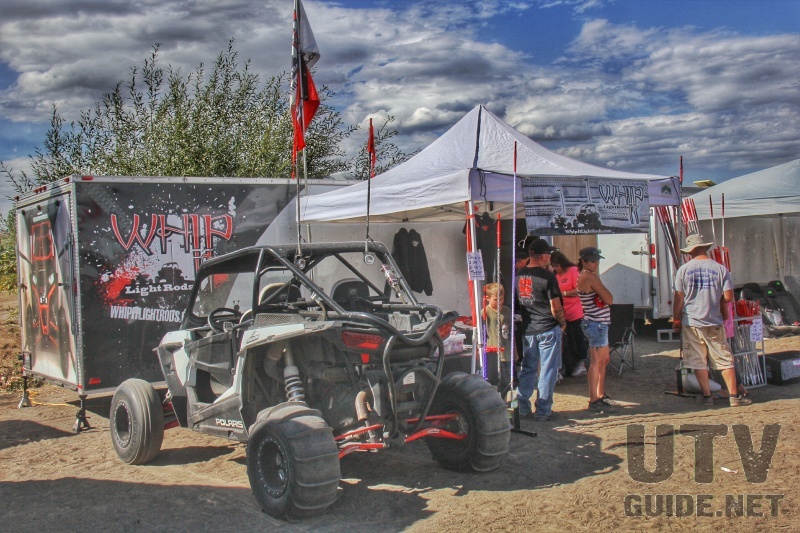 Thats exactly what we did this past weekend at the 2nd annual UTV Invasion in St Anthony Idaho. 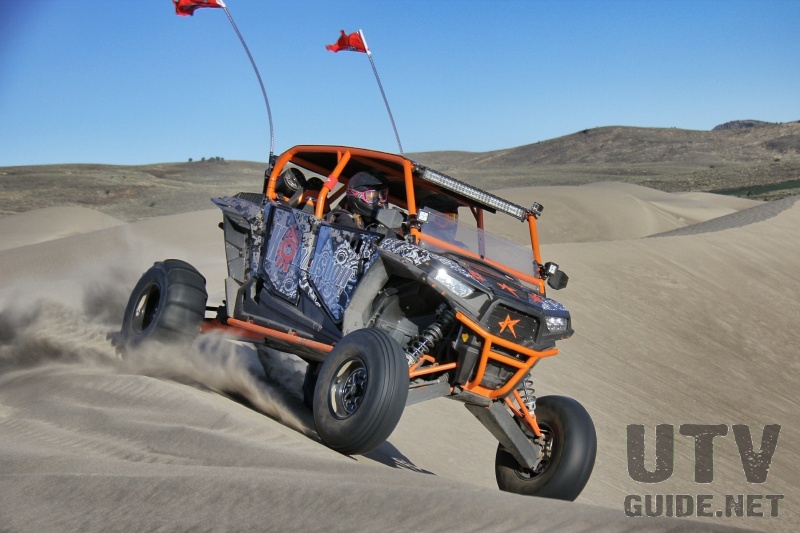 After an incredibly successful inaugural event in 2014 (see1st Annual Idaho Dunes UTV Invasion), promoter Dave Kuskie ramped up his game, hosting two UTV Invasion events at separate locations in 2015. 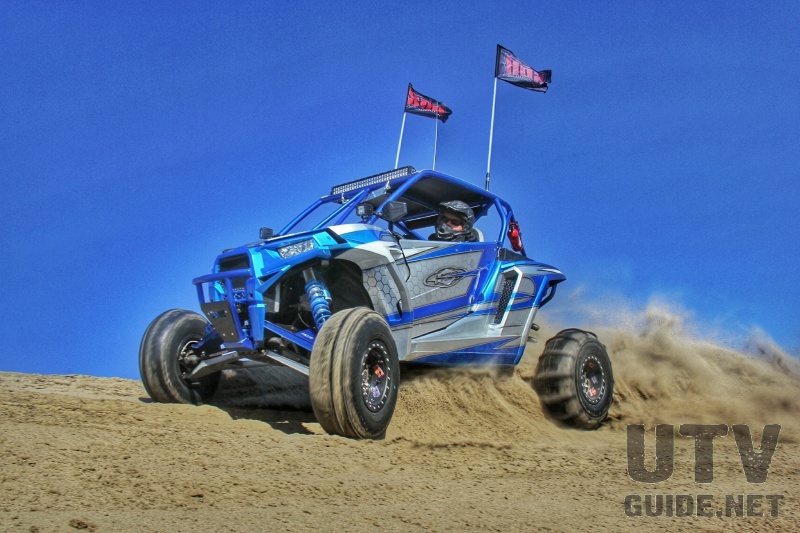 While the St Anthony sand dunes are a bit of a haul, especially for the vast majority of industry companies located in southern California, the event seemed to draw in a large audience of both vendors and attendees from all over the western United States. Coming from North Carolina myself, I had an early morning flight and arrived in Idaho falls around 3pm on Thursday afternoon. Some folks arrived as early as Sunday or Monday but the event technically didnt kick off until Thursday. 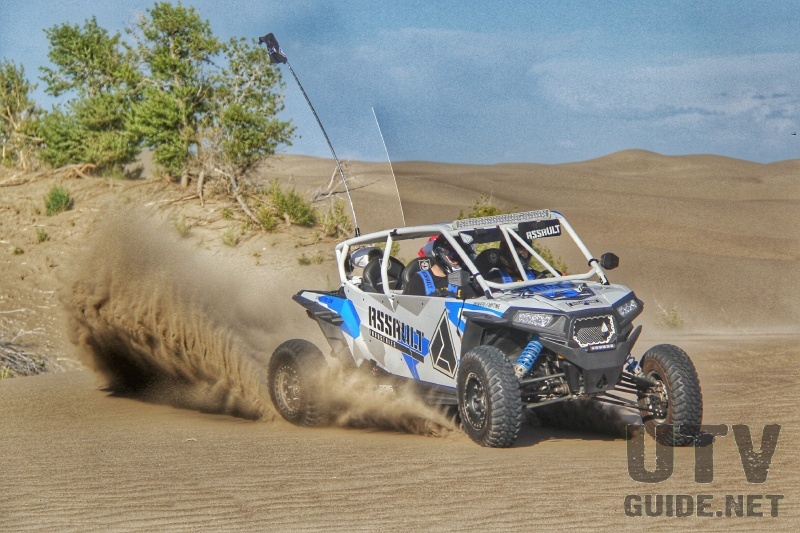 After settling into our home away from home, a Springdale RV courtesy of Great Outdoors RV Rentals, we hopped in a new RZR XP Turbo and headed out for some photos with our friends from Assault Industries and In2Dirt Media. 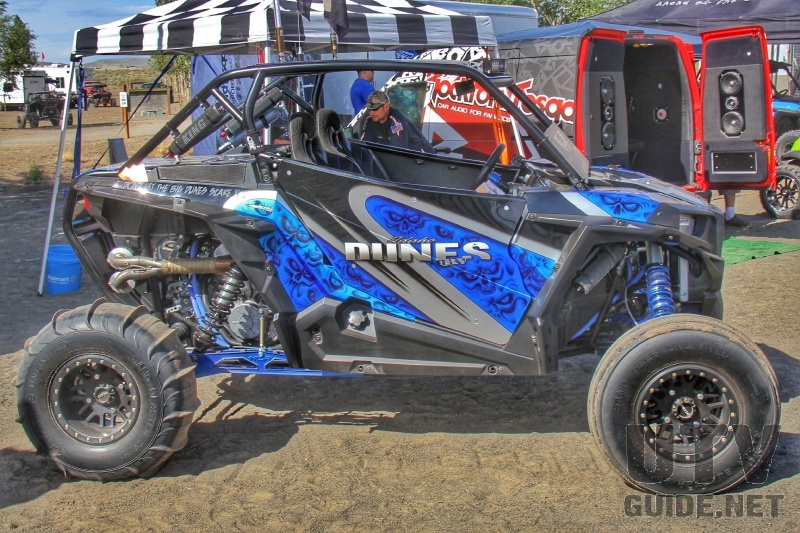 While I was fortunate enough to test the new XP Turbo at the Oregon Dunefest, the demo ride was hardly enough to get a feel for what the new machine from Polaris is capable of. 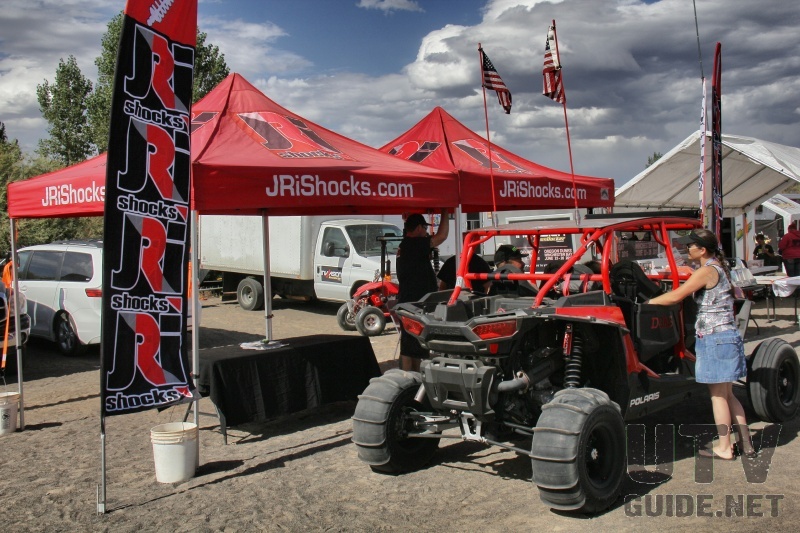 Not to mention this one had sand tires all the way around and its FOX internal bypass shocks had recently been re-valved by Justin at Shock Therapy. 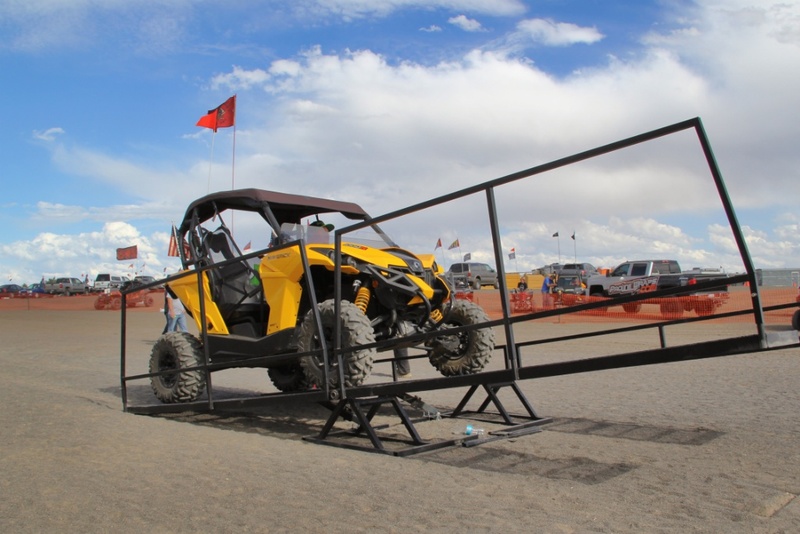 After a few photos we made our way back to camp and caught the tail end of the teeter totter prelims as attendees tested their coordination and balance on the UTV teeter totter. 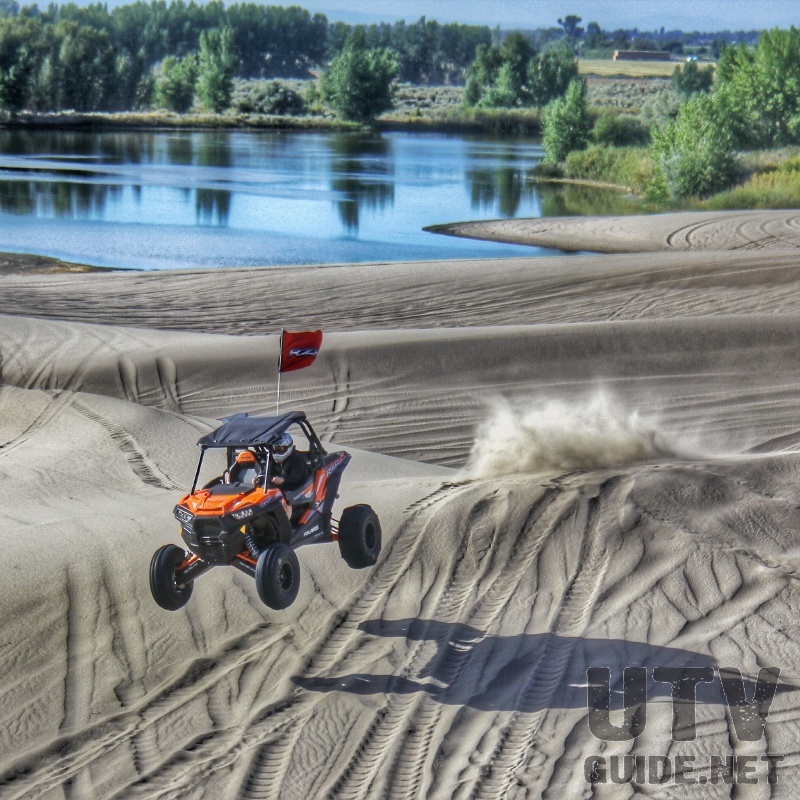 In addition to a giant teeter totter, the UTV Invasion crew had lined up a full list of activities for the Labor Day weekend including a poker run, raffle and a concert with Nashville recording artist Brian Collins. 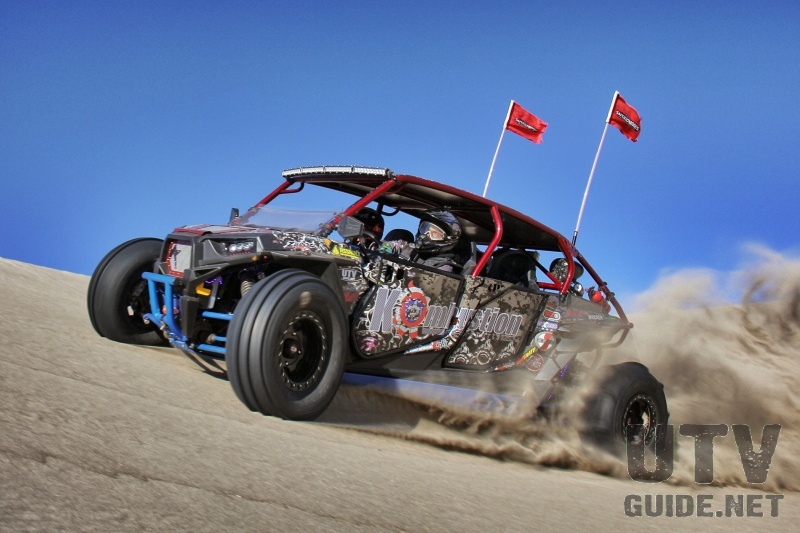 Also new for this year, Redbull athlete Ronnie Renner brought his crew of men and machines out to play in the sand and film for his Go Pro Ronnie Renner Freeride Tour. Being from the east coast, my biological clock started ticking somewhere around 4am on Friday morning. Fortunately or unfortunately for my bunkmates, this meant we were up in time for the sunrise and at about 6:30 we rolled out the main gate so the producer from Destination Polaris could capture some shots of the sun coming up as well as vehicles lined up waiting to get in. The popular TV show sent a camera crew (and by that we mean videographer Gram) out to cover the event and we would spend much of Friday shuttling him around and helping facilitate interviews and action shots for the show. 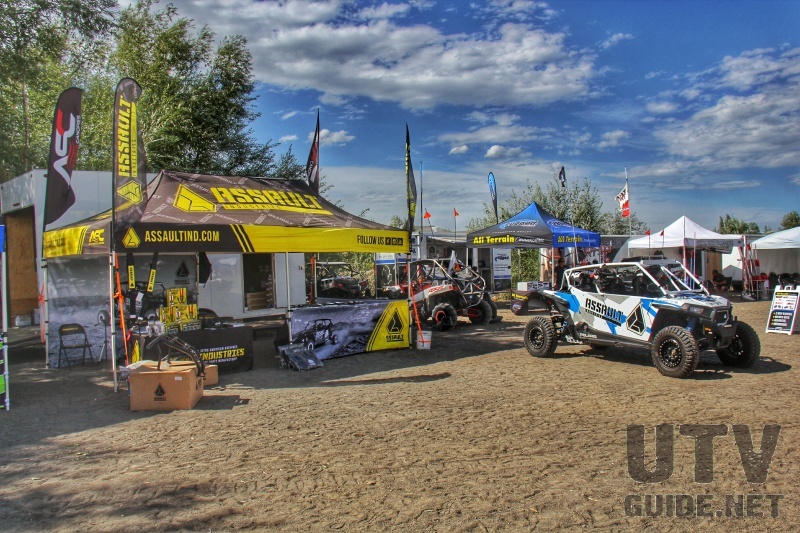 We did manage to break away shortly after the sunrise shoot to take some artistic photos near Egin Lake of our XP Turbo and the Instigator XP 1000 built by TMW Offroad. 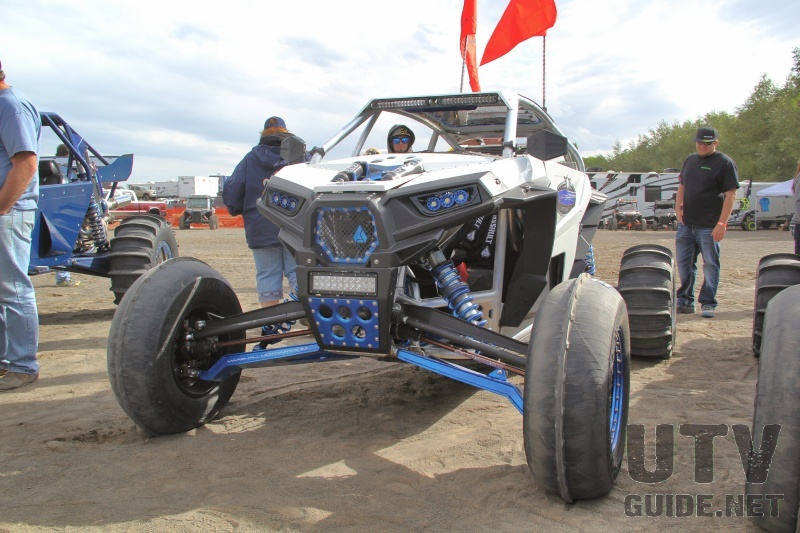 We also used this as an opportunity to find a large long whoop section and test out the upgraded suspension on both vehicles (look for a report on our new XP Turbo very soon.) 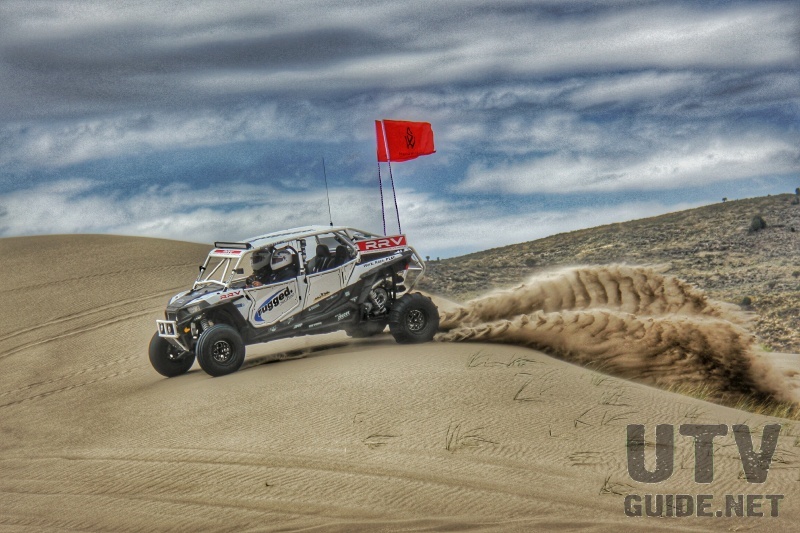 Similar to the Oregon dunes, the scenery in St Anthony really makes for unique photos. 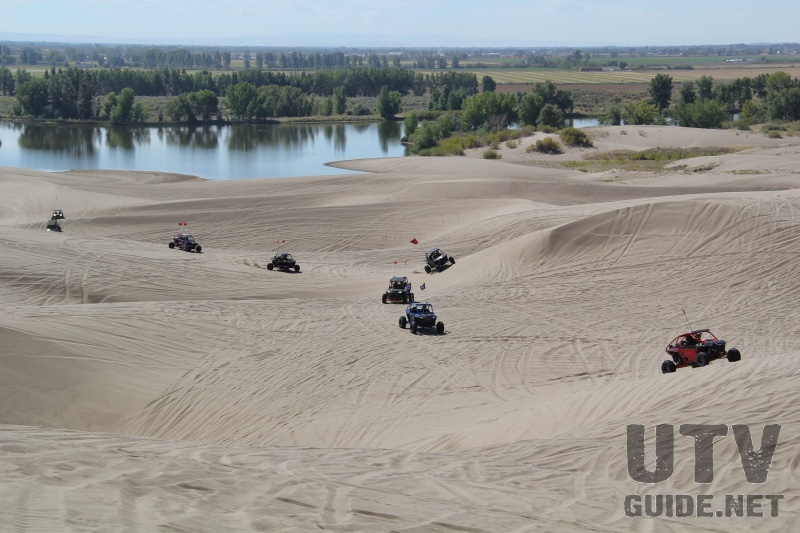 Egin lake provides a spectacular backdrop and while Glamis offers its own rugged beauty, its hard to compete with vegetation and a large body of water right next to the dunes. 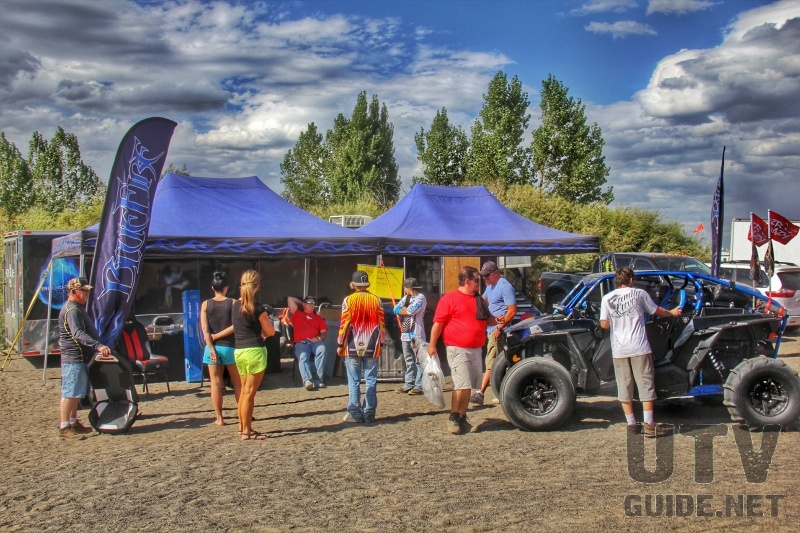 After our morning ride we regrouped with several folks who would participate in a shoot for Destination Polaris. 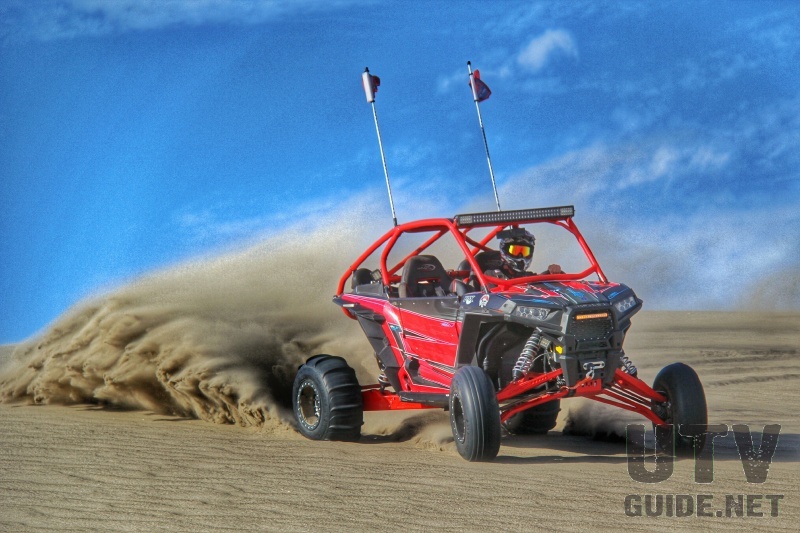 Gram took time interviewing people about where they came from and what they enjoy about these dunes verses other riding areas theyve visited. On the ride we bumped into the Arizona contingent consisting of Doug Tyler from TMW Offroad and Jon and Amy Wolf of Wolf Designs. 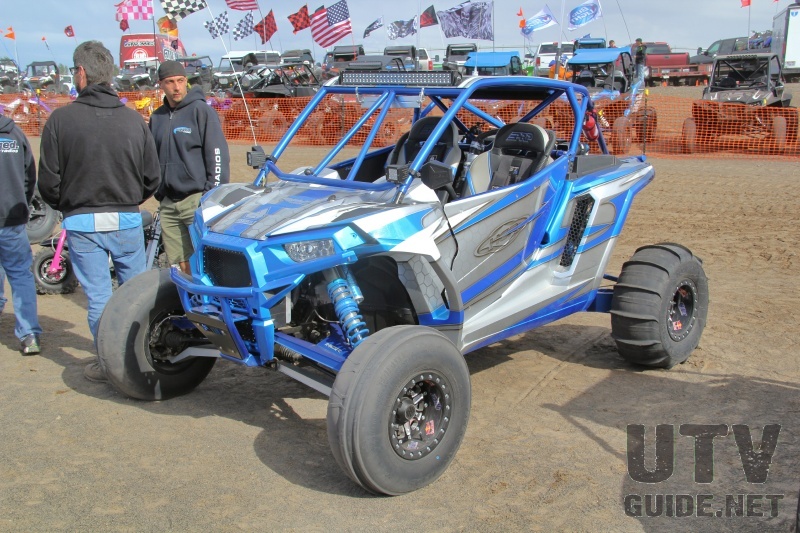 Doug was showcasing his newly completed XP Turbo dubbed the “Punisher” and Jon was cruising around in a beautiful green and blue XP 1000. 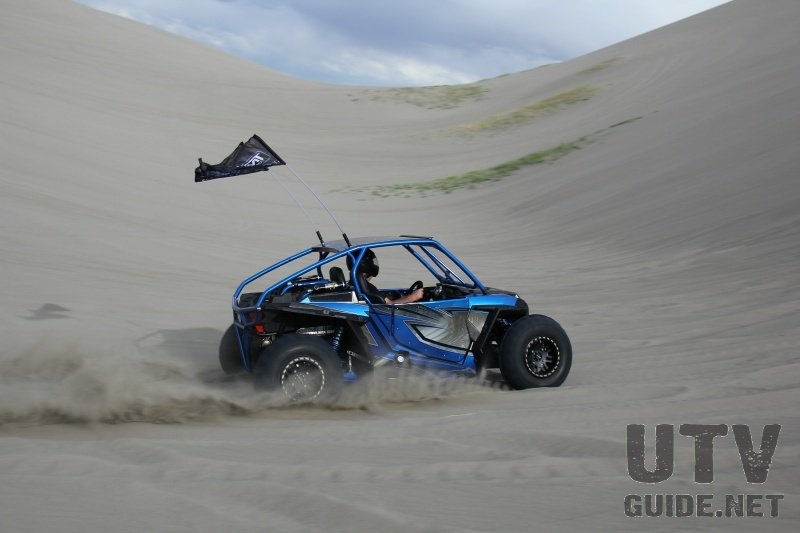 After finishing up with Destination Polaris and catching a few photos with the TMW gang, we headed back to take a dune cruise with Ronnie Renner. 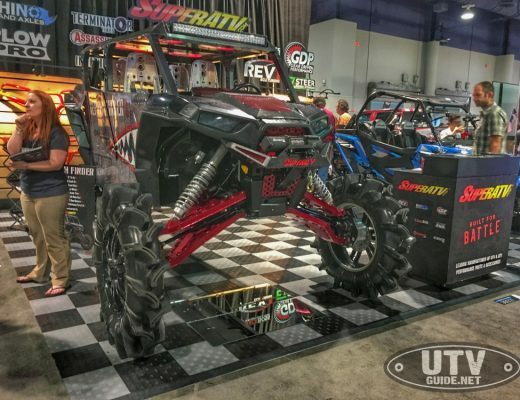 Anyone thats ever had the opportunity to meet Renner learns quickly that hes a stand up guy who enjoys just about anything to do with the off-road. 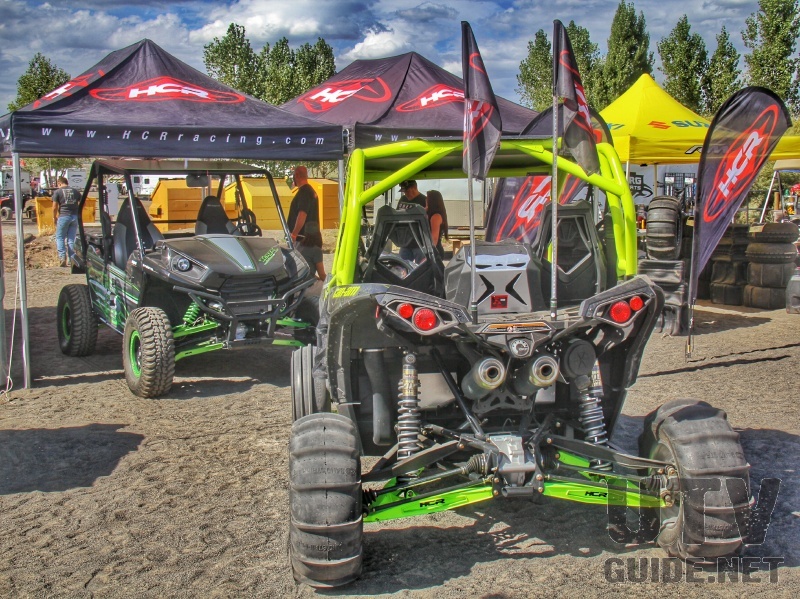 On this particular trip he brought his dirt bike along with his SDR built XP 1000 and XP 1000 four seater. 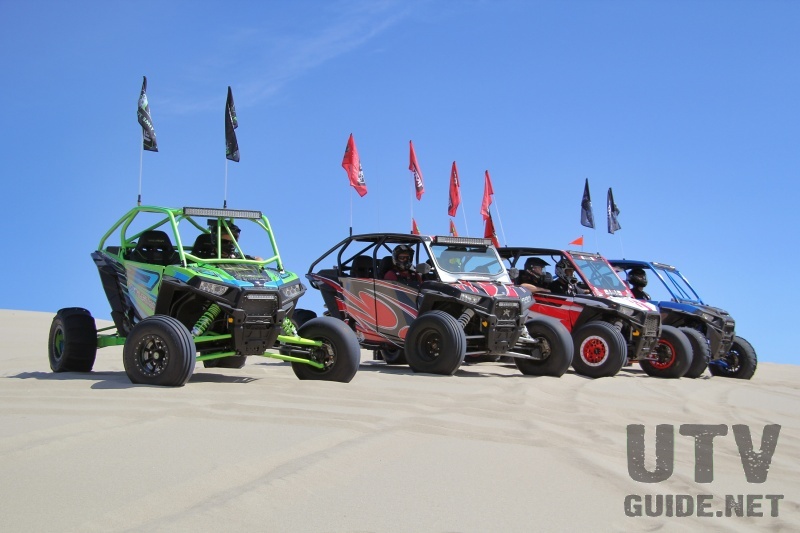 A small crew of about ten vehicles headed out into the dunes for a pretty fast paced ride. 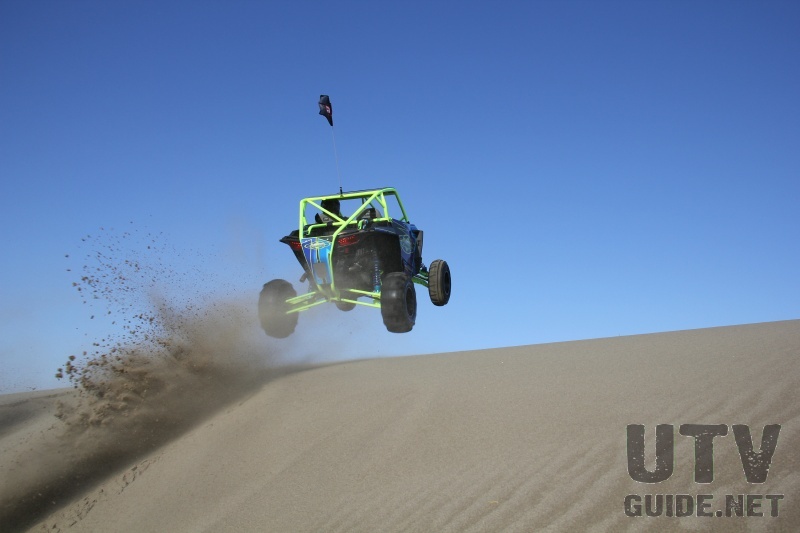 Ive been riding sand dunes for over 20 years, have ridden most of the major dune areas in the United States and I think I can say with confidence this was probably the most fun dune ride Ive ever been on. I dont know if it was because of the pace, the company or the fact that we werent stopping to take pictures but from the time we left camp until we took a break near Choke Cherry Hill we were on the gas and having a ball. I did manage to turn my Go Pro on several times during the cruise which you can see in the video below but for the most part it was just straight up duning. Renner generously gave away a brand new Go Pro camera to one of the guys on the group ride as well as several more throughout the weekend. 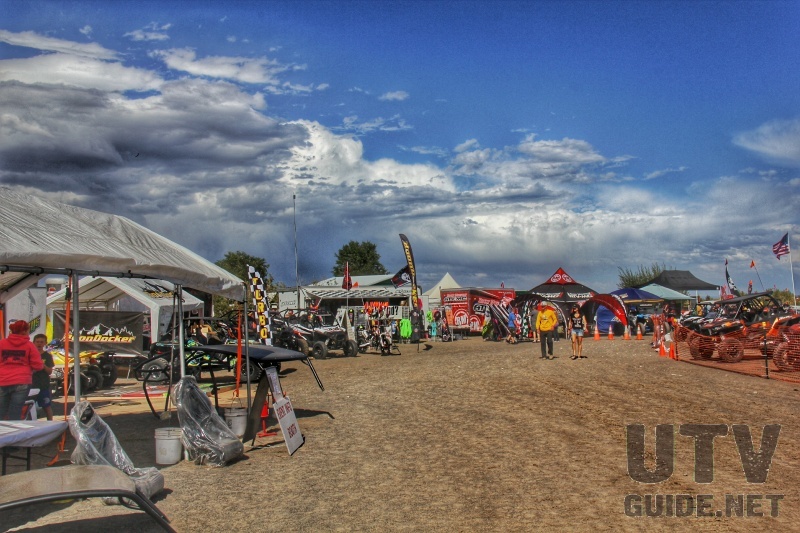 High winds and a threat of rain kept us from spending much time on the sand the rest of Saturday but fortunately it calmed down just in time for the show n shine. 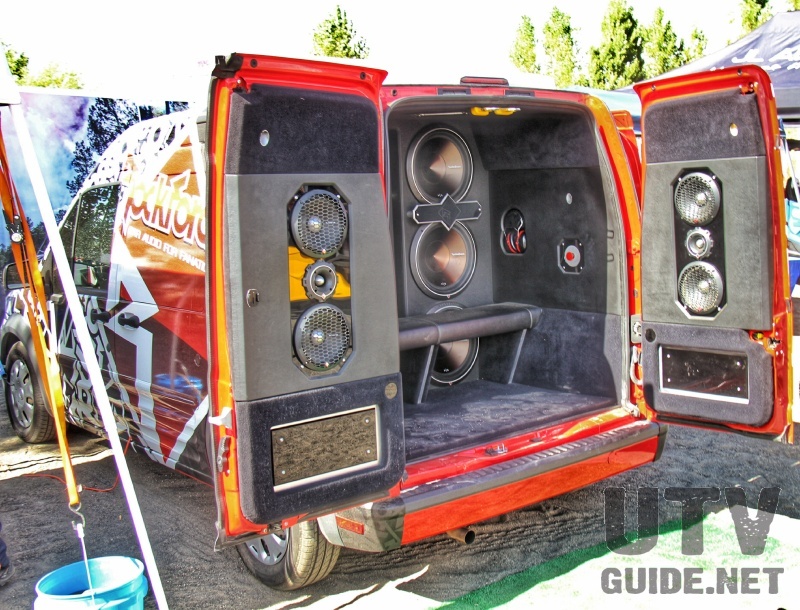 Ive seen some show n shines over the years but this one blew them all out of the water. 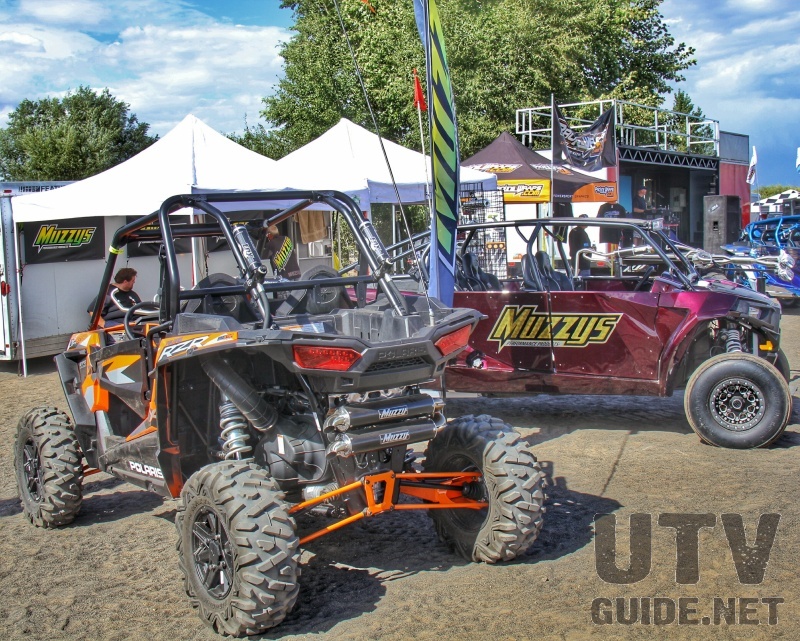 56 UTVs were on display, separated into two classes for enthusiasts and industry professionals. 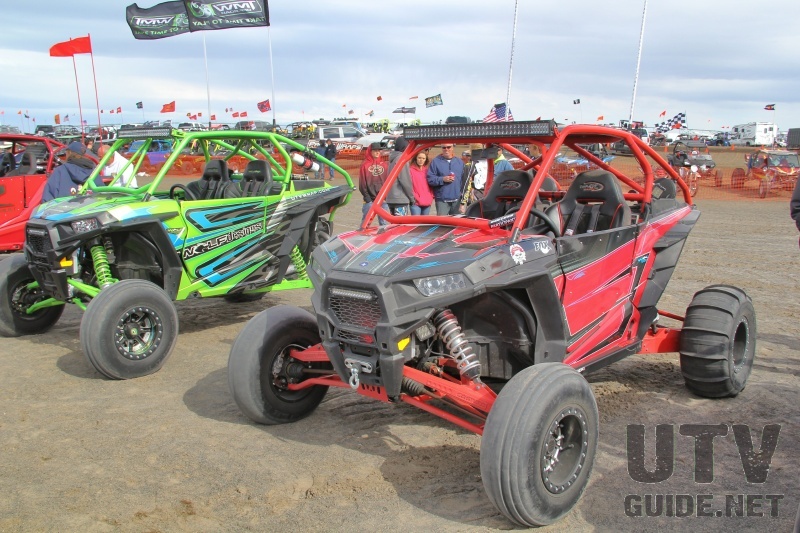 While the Industry professionals side may have had a bit more bling, the enthusiasts held their own and showed some incredible talent for people who make a living doing something OTHER than building custom UTVs. 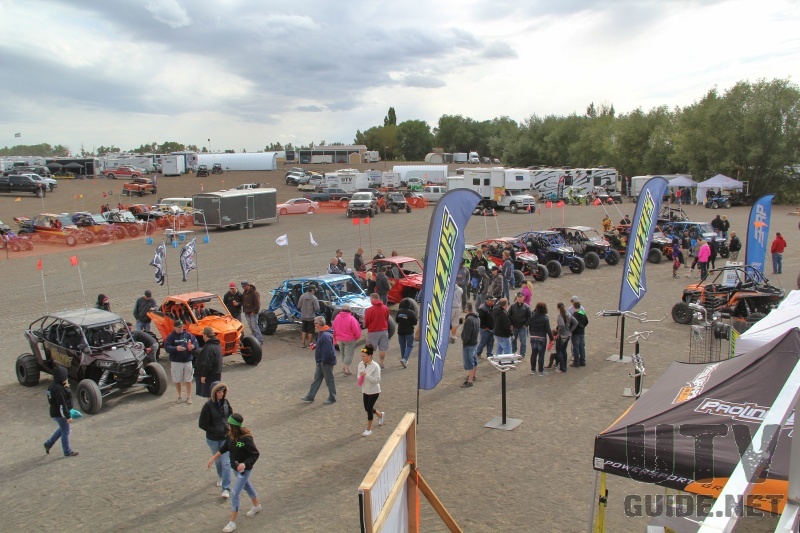 As the sun began to set it seemed like everyone in camp was headed for Thunder Mountain to watch the evening sand drags. Unfortunately it appeared that everyone waited until the day of to get their equipment working correctly as there wasnt much going on other than a few people making runs up the hill. The gang from K&T Turbo eventually started making some passes but things didnt really get hopping until after dark which wasnt much help for us photographer types. Despite the cold weather, Brian Collins and his band took to the stage around 9pm and rocked the night away with is own originals as well as some classic jams. A few die hards busted a move up near the stage but the majority of folks watched from around a couple of bonfires a little ways away. 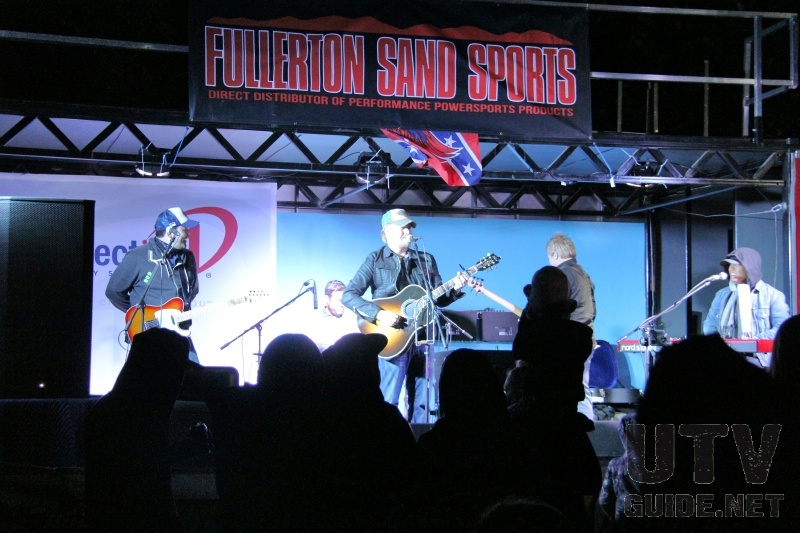 Although the concert didnt attract huge numbers from the local area, the attendees seem to have a great time and enjoyed the laid back atmosphere and some great music. 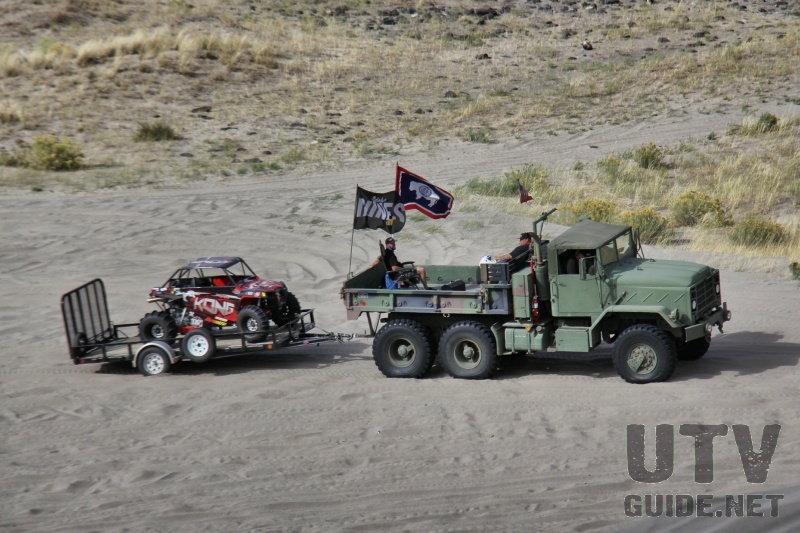 Although the event ran through Monday, some of the folks with a longer haul started packing up and hitting the road by Sunday afternoon. 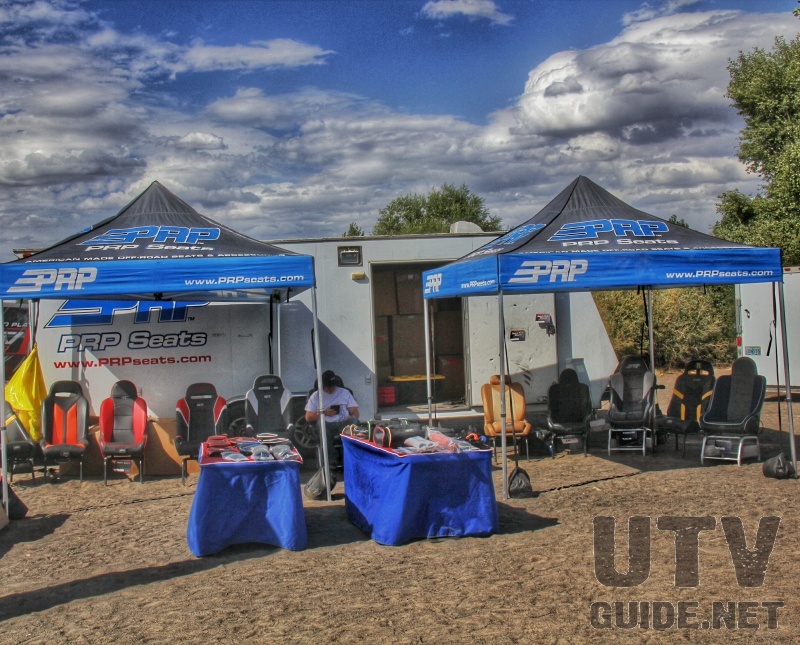 Those that decided to stay took part in a raffle featuring a wide variety of products from vendors and sponsors. 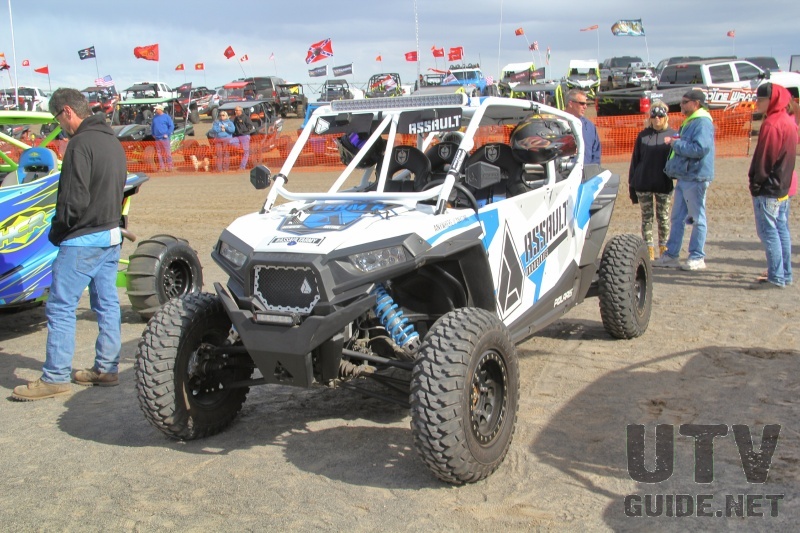 Vent Racing donated two complete cages, PRP offered a set of their new suspension seats and numerous other companies like Assault Industries, Rugged Radios, Warn Industries and Boondocker kicked in products as well. 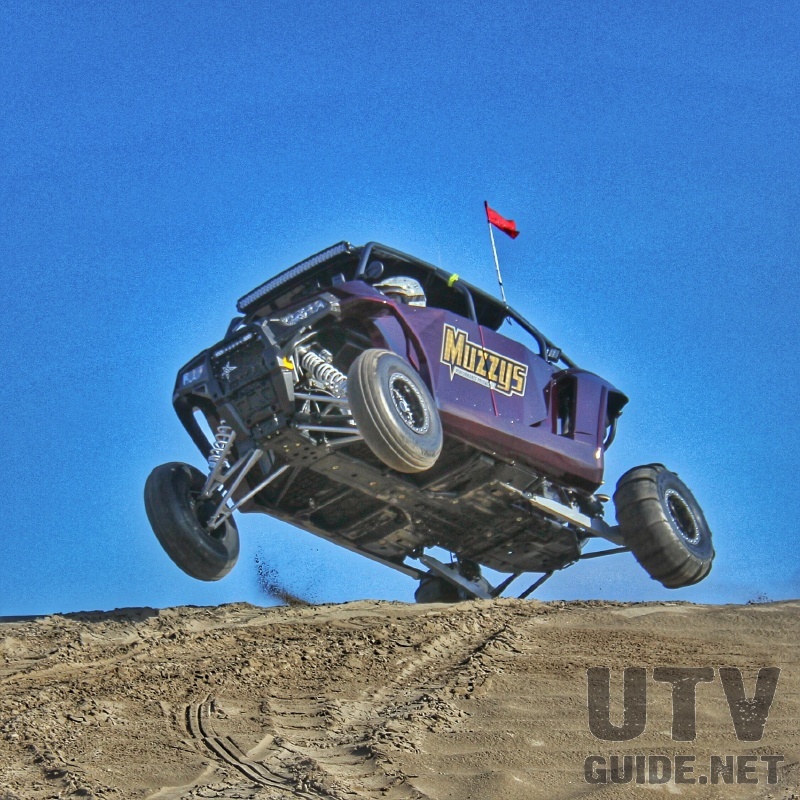 On the whole, the 2nd annual UTV Invasion was a tremendous success. 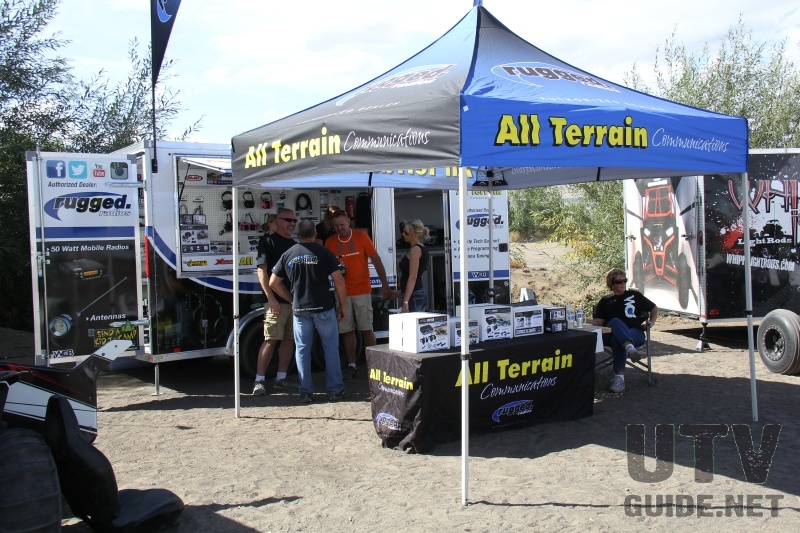 Vendor row was filled with many of the biggest names in the off-road aftermarket and the host campground Idaho Dunes RV was at capacity. Organizers went to great lengths to keep the costs down and encourage people to attend from all over the country. $5 gained you entry to the event, all the activities and even the concert. 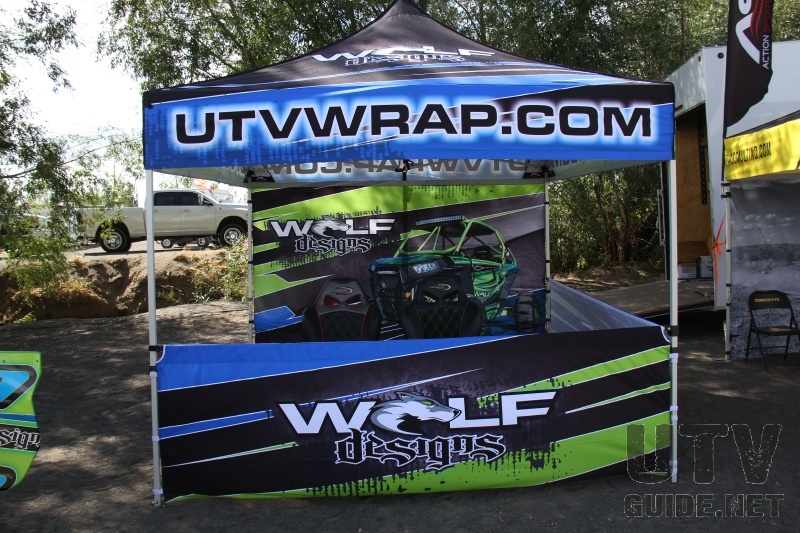 Raffle tickets were just $1 each and the vendors really stepped up with some great products. 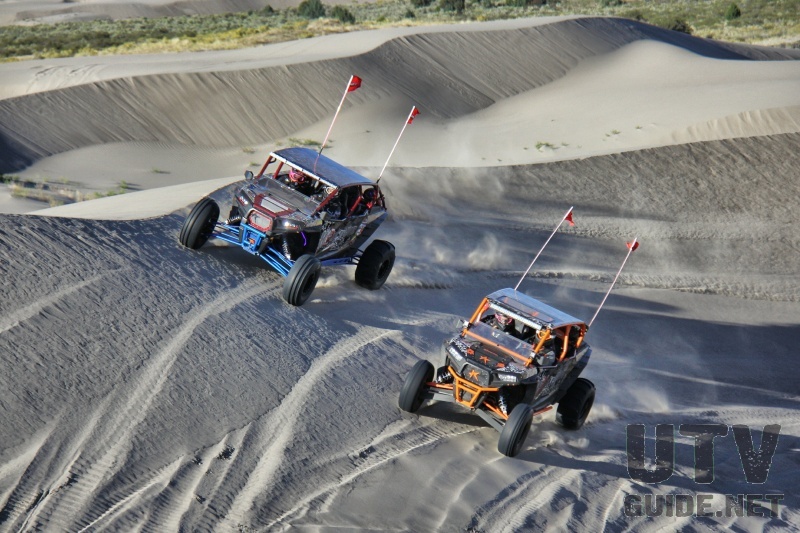 If youve wanted to check out the BIG DUNES in Idaho but are put off by the long drive, let us be the first to tell you it is worth every mile spent in the vehicle. 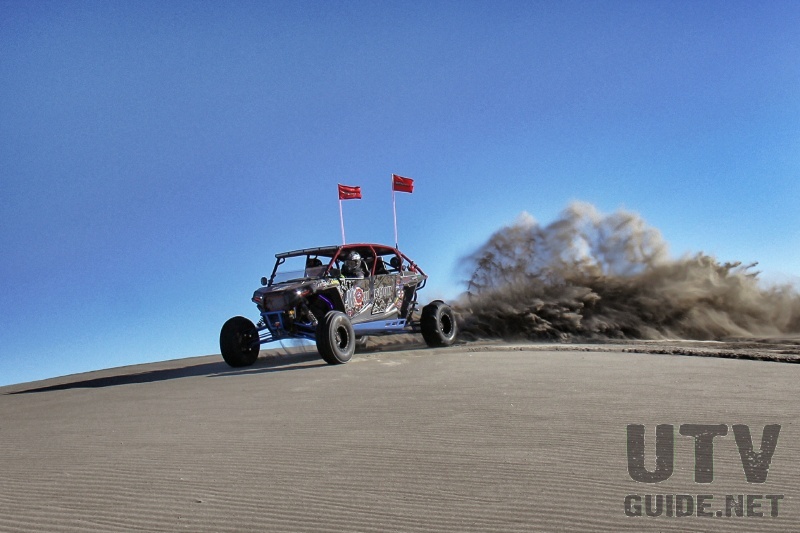 The dunes themselves are massive and pictures dont even begin to do them justice. 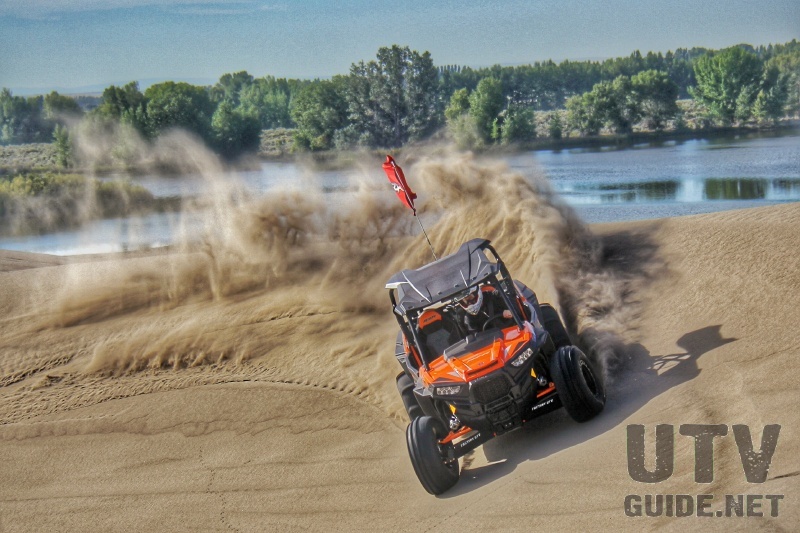 Planning for next years event is already underway so put the UTV Invasion on your calendar for Labor Day weekend 2016 and come see for yourself why the UTV Invasion is rapidly becoming one of the premier duning events in the nation! 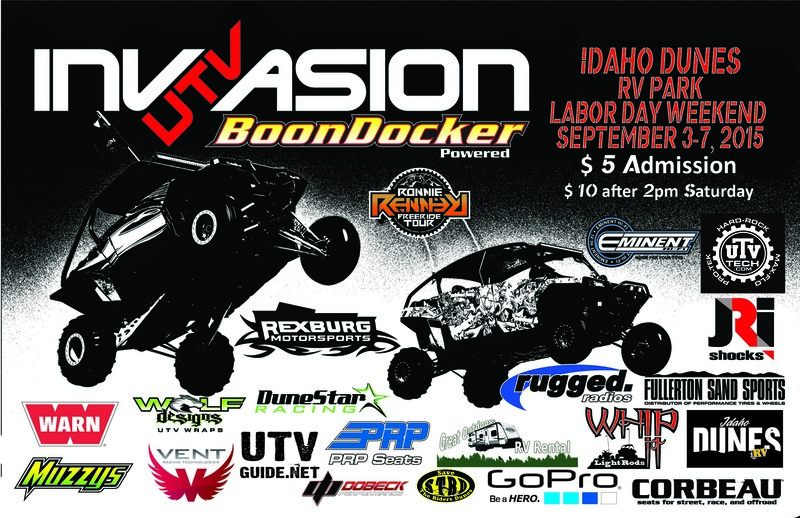 The UTV Invasion wants to extend a huge thank you to all of the event sponsors and vendors for participating in the event: Idaho Dunes RV, Boondocker, Great Outdoors RV, Muzzys Performance, Assault Industries, Rugged Radios, Fullerton Sand Sports, WARN Industries, Proline Wraps, Vent Racing, Wolf Designs, JRi Shocks, Go Pro, Red Bull, Ronnie Renner Freeride Tour, Whip it Light Rods, Dunestar Racing, PRP Seats, Dobeck Performance, Save the Riders Dunes, Corbeau Seats, Rexburg Motorsports, Eminent HiFi, UTV-Tech, HCR Suspension, Bluefire Outdoor, OTB Motorsports, Crow Enterprises and API Performance.